So you need leaflets made for your business, or you are a college goer looking to get the term paper printed for submission? Whatever be the case, if you've got printing on your to-do list or if printing in a special format is making you scout around for stores, then this narrow lane near Esplanade is your one stop place. Located just opposite the Levis Store in Bentinck Street is a dark narrow cul-de-sac that sits inconspicuously between two very old buildings. 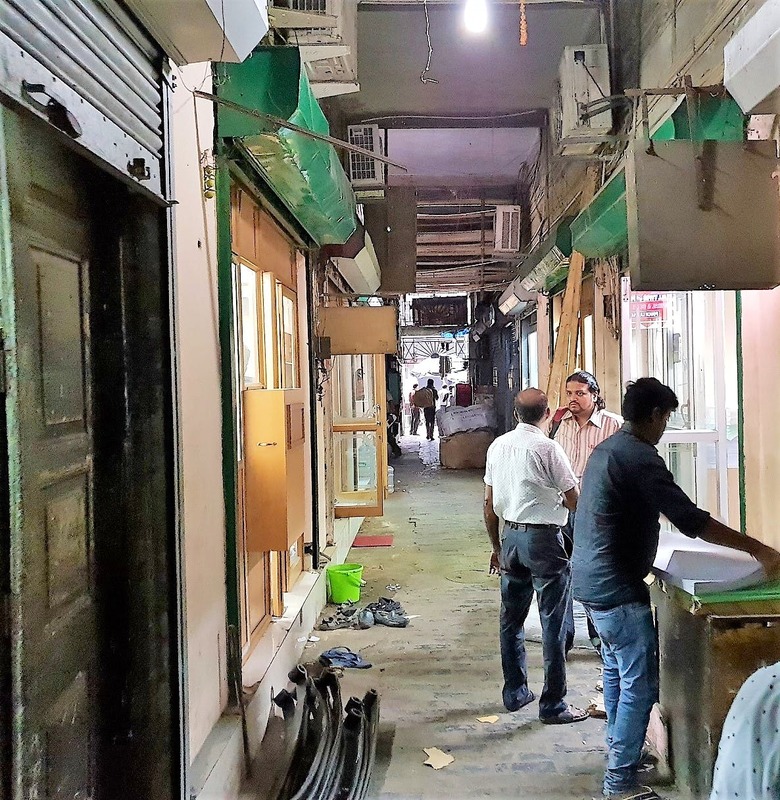 You'd probably notice the panwala siting at the mouth of the lane, but would surely not venture inside unless you know that this lane is lined with printing and binding shops. Tucked away like a hidden secret, this tiny lane houses multiple printing shops with large digital printing and copying machines, all belonging to Sushma Printers. Leaflets, canvas, magazines, books, visiting or id cards, this place will print almost anything that you can demand. Have fabulous photographs that you want to make into a book? Hit here with your specifications and you'll get it done in a few days. From picking the correct GSM (paper quality) to the paper type (glossy or matte) and choosing the desired binding (spiral or paperbound), you'll get to customise the look and feel of your book to the T. Prices of the services depend on combination and complexity of the work. A 250 GSM paper costs INR 11, 300 costs INR 15 and a fancy 350 costs INR 20, here. Basic printing prices start at INR 9 and binding at INR 30. It shouldn't come as a surprise that this place is always packed and waiting seems part of the whole process of printing and binding. Remember to come with some time in hand. If you're coming with your car, it's best to park it in Prafulla Sarkar Street because there's definitely no parking space here.